To be a member of AIPP you will need to have at least 2 years of photographic experience in the field in which you want to professionalise. You are then examined on many different levels as far as picture quality, professionalism, public liability, professional indemnity, procedures, quotation and contracts offered, customer service, equipment, ethics, and your knowledge about photography overall. Once all of these issues are satisfied, you are then granted membership and are allowed to display their logo on the front door of your business, your website, and your business stationary. These professionals will also receive documentation of completion that can be displayed in their business or to have on file. 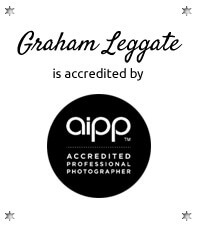 After a professional photographer is accepted into the membership of AIPP they must abide by all the guidelines and rules set forth by the institute, and are governed as to their abilities to serve the public as a professional photography service. Why Hire an AIPP Accredited Photographer? An accredited professional photographer combines a love and passion for their craft with a dedication to running their business in an ethical, and professional manner and a desire to give you the ultimate customer experience. “Trained” because all Accredited professional photographers must have a minimum of 2 years experience with on the job training, or have completed a formal RTO approved photographic program before they can apply to become Accredited Members of the AIPP. “Educated” because all Accredited professional photographers need to continue to continue their professional development by taking part in the AIPP CPD program. “Skilled” because all Accredited professional photographers are encouraged to improve their skill through taking part in the AIPP awards programs, learning from their peers and increasing their craft and skill. If you want to be sure you are using an AIPP accredited professional, look for the logo!